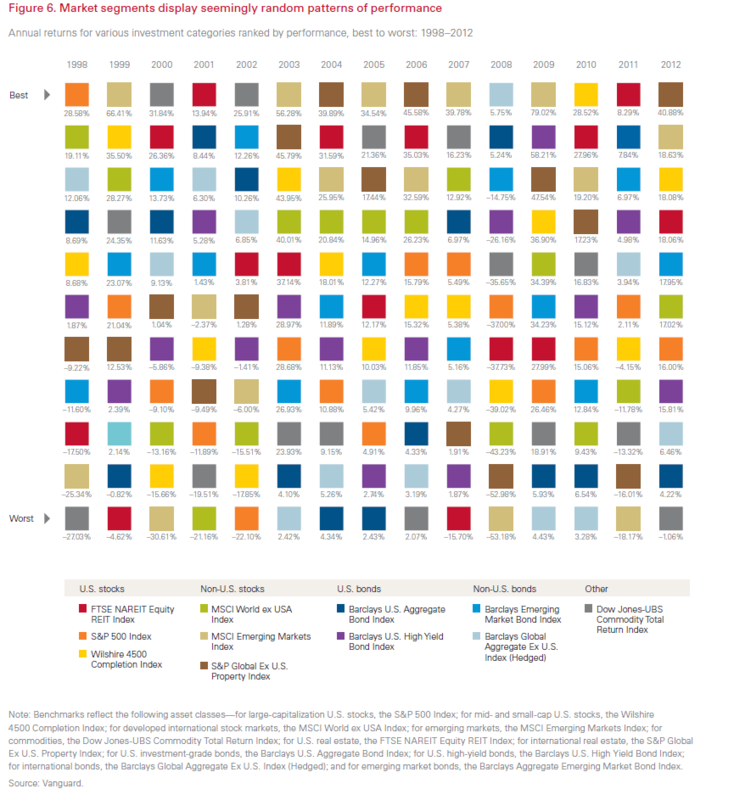 The annual returns of various asset classes vary every year with no one investment category holding the top spot for best performance year after year. The colorful chart below clearly shows that the random pattern of performance. « What Drives Long-Term Return – Dividends or Multiple Expansion?